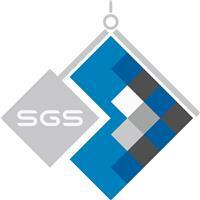 SGS Landscape Design & Build - Fencing/Gates, Landscaper based in Bognor Regis, West Sussex. At SGS Landscape Design and Build we pride ourselves in offering a high quality landscaping service as well as a creative and comprehensive design service. We have over 20 years experience in the industry and pride ourselves in attention to detail and customer service. Our service is tailored to your needs whether you want the full package or help designing and managing your project. We also work for other designers and quote for smaller projects. We offer a complete landscape package, including; project management, construction, design, tree surgery and contract maintenance. We also deliver garden products throughout Chichester and the surrounding areas, please see our website for pricing and further details. All GU, Brighton, Chichester, Covering Surrey, Farnham, Guildford, Hampshire, Haslemere, London, Petersfield, PO postcodes, Portsmouth, Southampton, West Sussex, work outside these areas considered.